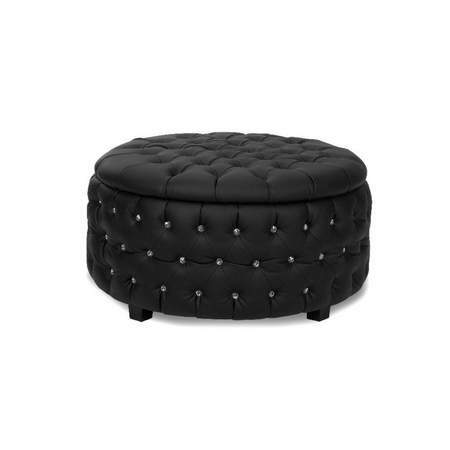 Black leather, tufted ottoman. Inside each tuft on the top and sides of the ottoman are adorned with a crystal gem. This blinged out piece is perfect for a bling theme, heaven theme, or high end vintage chic.